When you fall victim to workplace discrimination you rightfully feel that you and your family are under attack. Your job and ability to earn a living are being attacked by a senseless and malicious person or group of persons. You fear reporting the misconduct. What if your boss or coworkers retaliate and make matters worse? What if you lose your job? How will you make ends meet for yourself and your family? 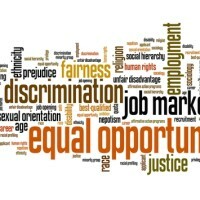 Sciantarelli Law Firm litigates a variety of workplace discrimination matters. If you have been the victim of discrimination due to race or gender or retaliated against by an employer, you should call Kevin Sciantarelli right now to discuss your situation. You have rights in Kentucky that you may not even know of. Call for your free consultation today. You do not have to tolerate illegal discrimination and harassment in the workplace.